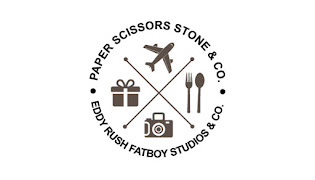 They moved a few shops away from their original location, expanding their business in an air-conditioned shop.. Previously operating two doors away, they moved to this new location, and revamped the ambience, albeit increasing the price by a minimal margin. However at a mere RM0.60 per piece (5 April 2010-RM0.70 per piece and now 24 august 2013-RM0.80 per piece), the puff may look mini, but in fact packed with flavours from the awesome kaya (egg jam) fillings, and the flaky, crispy-when-hot pastry. In Ipoh, there are lots of good food around, but then everyone is asking me what else to eat in Ipoh? 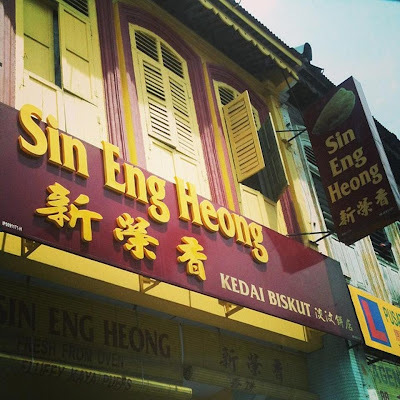 This is the famous Chung Kee "Dai Shu Geok" in Ipoh. Dai Shu Geok meaning Big Tree Foot. 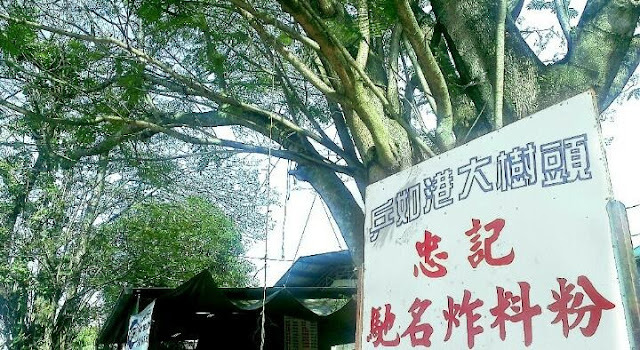 The name is given because Chung Kee is originally located below a very big tree, so Ipoh people call the place Big Tree Foot rather than Chung Kee. It's well known, any Ipoh people will be able to point the direction. When I arrived, I saw that some of the trays were empty, but soon after I found a seat and made my way over again, they had been briskly refilled with hot, fresh ones. Alright, here is the typical set-up of the Chung Kee stalls. They pre-prepare all the food, and put them up the tray in their respective type, and you take what you fancy. It's much more organise now comparing to old times, so all good. Once you make your choice, then they will cook / fry it for you. After we Visit Kellie's Castle,we directly go for lunch at YAU KEE RESTAURANT specifically the famous bread chicken More often heard many famous delicious, and finally have a chance to eat it. In particular bus travel will definitely patronize this trip.Yau Kee Restaurant at the town centre along Jalan Idris is a favourite stop for many travellers who want to try the famous chicken wrapped with bread. The chicken cooked with curry is wrapped inside the bread. If you are not able to take spicy food, settle for the equally tasty herbal chicken bread. This restaurant also serves the typical Chinese dishes. Occasionally there are tour groups that come here to enjoy this specialty during lunch and dinner time. 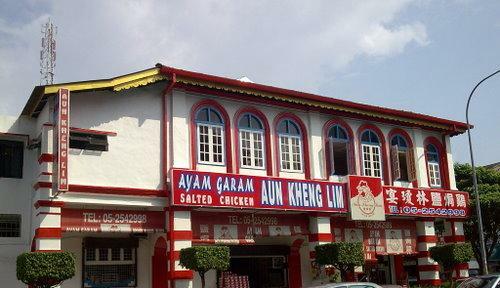 If you happened to drop by Ipoh for Lou Wong bean sprout chicken rice, you can walk over to another street for the Aun Kheng Lim salted chicken. You can only take away since they don't have dine in service. Aun Kheng Lim has somehow set a standard for other proprietors of salted chicken outlets. But still manages to stood the test of time, judging by its popularity, and rapidly sold-off chickens especially on weekends and public holidays. Thus, booking in advance may help considerably here. It is wrapped up in a few layers of parchment paper and then baked in salt. So, the outcome is a herbal infused and salty fragrant chicken. Each chicken cost RM17. The portion is just enough for 2 to serve with steamed rice. 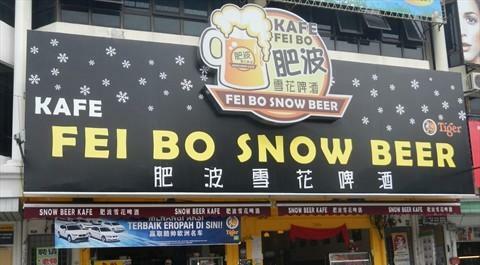 Fei Bo Snow Beer (肥波雪花啤)，a place for you to eat and drink with friends.they have many branches in Ipoh..
beer also become a popular drinks during the festive season. It is called "Snow Beer" because the beer will be served in the frost beer mugs and creates some snowflakes effect for beer drinkers and "Fei Bo " serves some Chinese cuisine and snacks too. they no longer occupied the old tiny shoplot anymore.Instead, they have shifted to a bigger, cleaner shop recently and it is right beside their former shop lot. They still have the same service; walk-in or drive thru. And their price increase another RM0.10 when move to their new outlet. RM1.00 for a small bowl of tau fu fa,they are considered cheap, but the portion could be slightly small.The Soya Bean & Tau Fu Fah is so smooth and they didn’t use any power to make it more “tahan”. If you plan to tar bau, eat it soonest or best if have it on the spot! (Signature Pork Chop Bun). The ingredients for the burger were surprisingly simple. A piece of marinated pork chop and a bun. No fillers, lettuce, pickles, cheese, or anything else. The pork fillet looked like an oversized piece of meat as compared to the two pieces of bread that comes with it. (Bouncing Noodles with Chicken Wings). Again, the noodles were very springy and the chicken wings are so well marinated. (Bouncing Noodle with Pork Chop). basically comes with chopped pork fillet with what it seems like our local wanton mee. 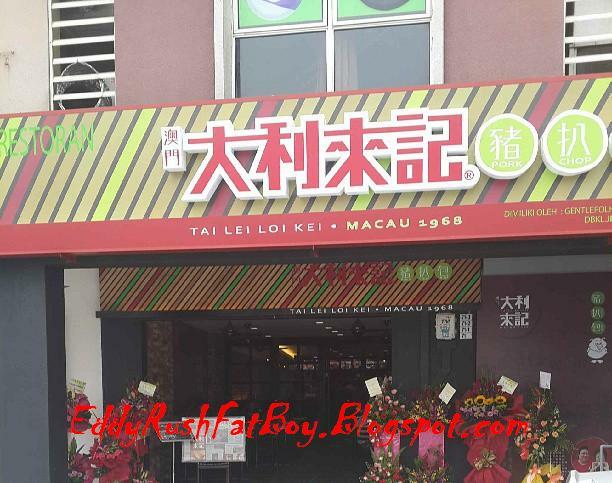 (Macau Curry Fish Ball ) .Deep Curry taste that covered the fish ball. Simplicity seems to be what Tai Lei Loi Kei advocates as there are no other ingredients such as vegetables, soup or even chillies. No 71,Jalan Radin Bagus, Bandar Sri Petaling, 57000 Kuala Lumpur. Hometown Steamboat is one of the famous steamboat in KD. 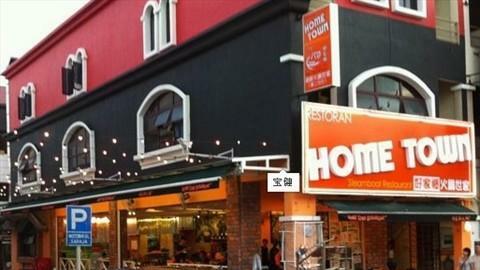 Its located near Sunway Giza, in Kota Damansara, where a lot of pubs, clubs, and dessert shops are located. Their a la carte menu is reasonably priced and food is fresh,Instead of serving only one standard steamboat set, there are a few other sets you could choose from and each of them come with different ingredients and pricing.